Today we are excited to show you a new way to use your Get Well and Gratitude Stamps and Dies! You never know who you are going to need to thank, or when you’ll need to send get well wishes. What’s even better? It is this week’s Weekly Craft Wonder. In celebration of National Craft Month we are highlighting special items on our website for 30% off! https://annagriffin.com/product/treasury-get-well-gratitude-stamps-and-dies/. If you have these already, you know that this set is your go to for making thank you and get well cards. We have a few tips and tricks to share with you, so that you can get the most use out of these amazing stamps and dies. Take a look at the gorgeous imagery that you will have to work with in this set! Condition your stamps before you use them for the first time. Conditioning your stamps rids them of any leftover residue from manufacturing and keeps the ink from beading when stamped on the paper. We like to use an artist’s eraser and then wipe clean. Here, you can see the difference between the conditioned stamp (left) and conditioned stamp (right). 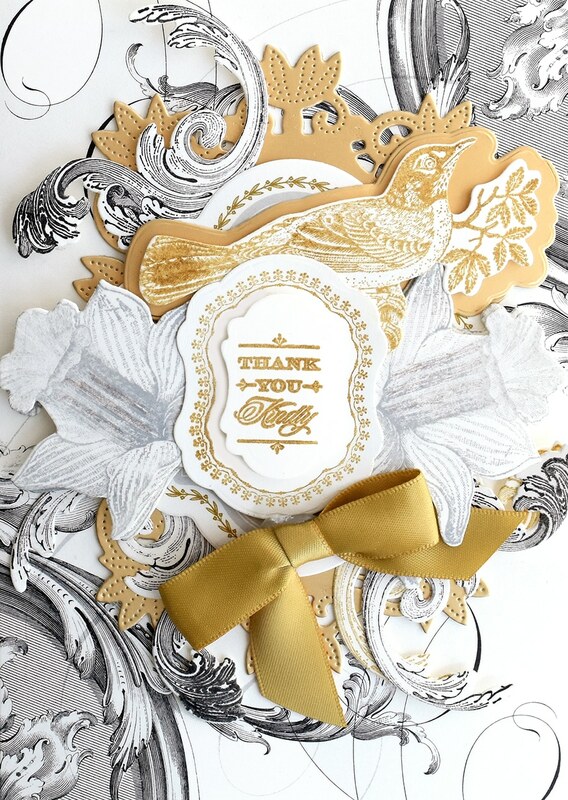 Stamping on patterned paper gives you that tonal elegance that we all love. When stamping a continuous pattern, start near the middle of the paper and work your way to the edges. Here, we stamped the same image 4 times on the front of a pre-printed card and embossed the image with coordinating embossing powder. Next, we will go back and stamp and emboss 3 more times using a 2nd color to create a pattern. 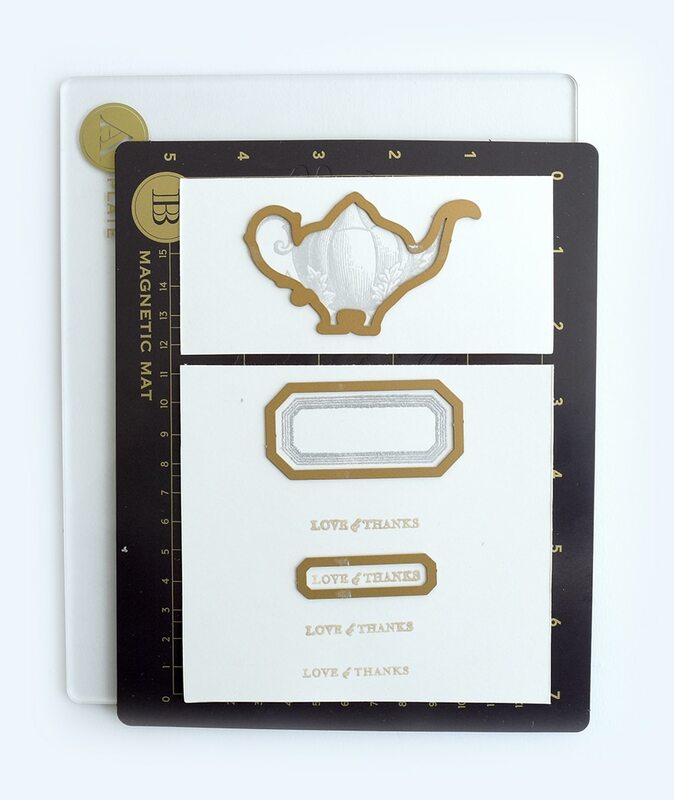 Stamp your card embellishments multiple times to get just the right impression. Die cut each with its corresponding cutting die face down over your image. Use washi tape to secure in place before cutting multiple images at one time. See what a gorgeous card this technique makes? 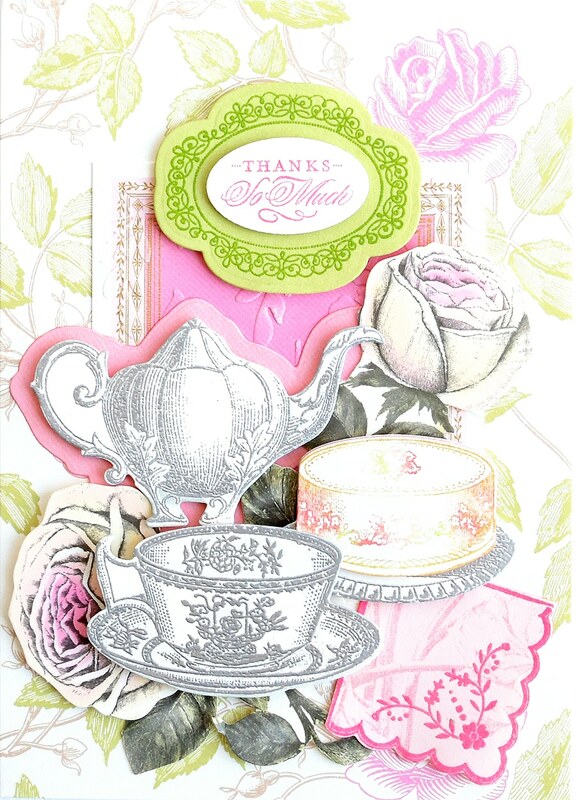 Here are a few examples of cards made with the Get Well and Gratitude Stamp and Die Set that we love! We hope that you enjoyed today’s tutorial, and that you will use these techniques in your future card making. Thank you for tuning in! We have so many amazing things to show you! Enjoyed it, it was great! Anna, you provide more helpful ideas for using your products than anyone I’m familiar with. I have the teapots and cups set and can apply these techniques to them as well. Thanks so very much. I have a question, once I purchase Anna’s card making kit can I sell these cards? I will be adding my own design to them as well. Love the stamps and the tips of how to take care of them. It doesn’t get any better. Hi Anna! I learn something new with each video! Thanks a lot!! 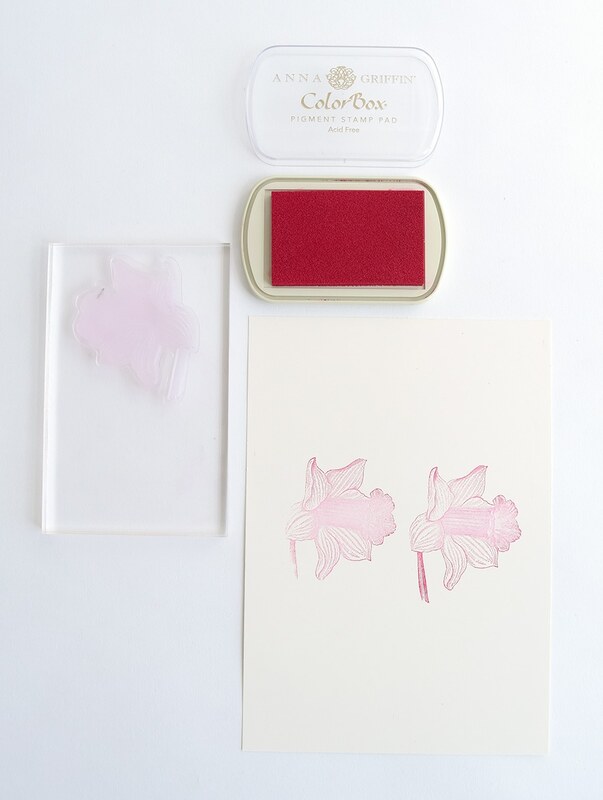 What a great idea to prep the stamp with an eraser before stamping! The tutorial was very informative and the card that was made was very pretty. Truly beautiful! Thank you so much for your incredible designs!! You make it look so easy! Love your delicious images and pieces!! Love your kits too! Hi Anna: I’ve been a stamper for many many years, but never liked using clear stamps without the wood backing. Except for yours. I have the complete Treasury collection and have used some of them. But I never knew how to condition the stamps. 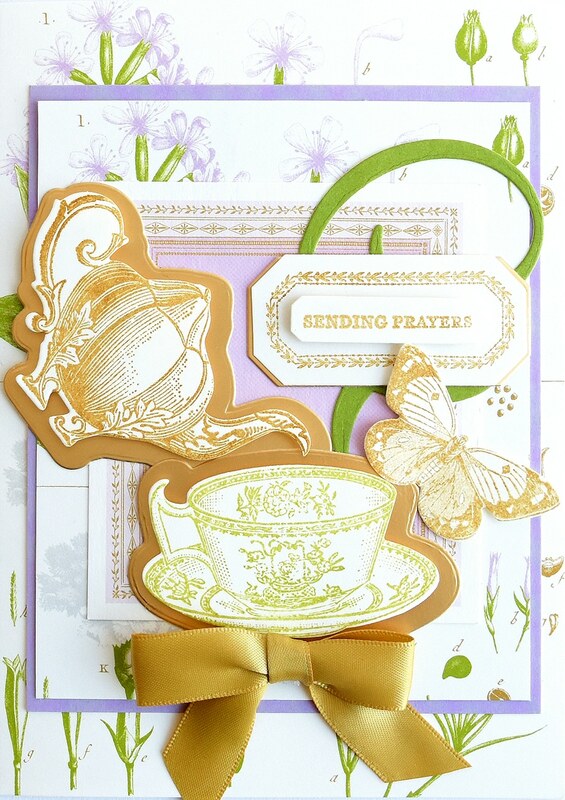 Thank you so much for these tips and the tutorial for making this beautiful teacup card with the stamped background. My sister is coming next week for three days of Anna Griffin crafting and we are going to have a blast creating beautiful things with your stamps and dies. Thank you again for the tutorials and everything beautiful you give us! Oh Anna, this set is SO beautiful & elegant. I typically don’t like every stamp in a set (of anyone’s), in fact too often I purchase a set for a single stamp, but your set here is a gorgeous set. I can see myself using this entire set. The eraser priming of clear stamps Sis a valuable hint. Thanks! I love this set. I have my tea every day, it is my “zen” part of my day and no matter how the day goes it always makes me feel better. I have the other tea set and would love to win this. I can’t believe how the detailed the stamps are especially the robin. So very nice. 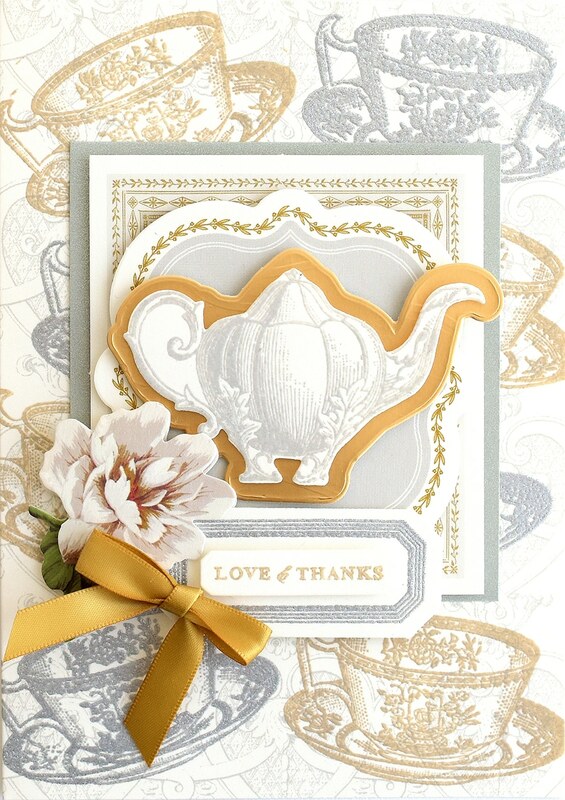 I will look forward to making cards with this and I am not going to lie, will steal the card you made with the teapot. So nice. Love all the ideas you have presented to us with this set. Anna, really am enjoying the tutorials that you have been showing using the treasury of stamp collection. Thank you for the inspiration! Great ideas. Excited to get started with some of these stamps – just got mine a couple of days ago. Beautiful cards!! Thanks Anna…Love the tea cup…. This is great information! Thank you so much! Loved all the tips in your tutorial and the projects. Thanks for sharing. This is one of the most helpful tutorials ever. I love all the tips you shared. I have a lot of your stamps which I love, but really needed this help. Thank you ever so much. The projects are simply beautiful in the making for sure. I hope to purchase this set because I have so many pictures of high teas and English Chintz china…..gorgeous! Such wonderful ideas. I got that set and love it but it is so nice to have even more ideas. Thank you again. Can the treasury and get well gratitude die cuts only be used in the empress die cutting machine? I had recently purchased the beautiful corner die cuts from Anna and they really don’t go through my Cuttlebug machine and I even tried them in my Gemini Jr. machine. So for now I can’t use the dies until I can financially afford to buy the Empress. It would be really helpful if certain dies were listed as only being used in the Empress. 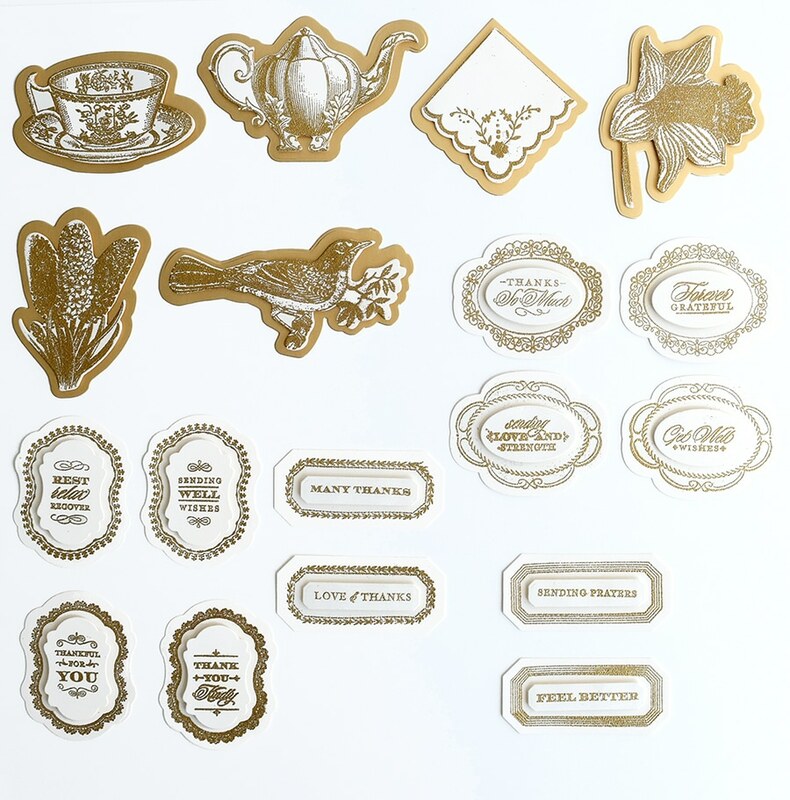 Our dies work in all personal die cutting machines. The all four corners die set works with the Cuttlebug and we just demonstrated that on QVC UK in February. There is a youtube video instruction on our channel for these dies. It uses the Empress, but shows how to position the paper to get the correct cut. Oh Anna thank you for this tutorial! I was just looking at this set a couple days ago and wanted to use it. Also, thank you so much for the give away! I couldn’t be more excited about winning the mini french fans! I really wanted those to go with the Regular Fancy French Fans and I will be using both so much. Thank you, thank you! I absolutely love these tutorials. I learn something new every week. I look forward to trying, and producing a better craft because of them. Thank you Anna! Can’t wait for this set. Love teacups and pots. Know for my teacup tree that I keep up all year. Over 100 cups/saucers/pots, etc. Went I sent cards I will not even have to sign it!! I learned about conditioning stamps. I couldn’t figure out why the ink beaded on the stamp. Now I know. Thank you. I also like your samples because sometimes I can’t figure out how to use the stamps. Really like the tutorials. Gets me motivated to do more stamping and making use of my embossing powders too. 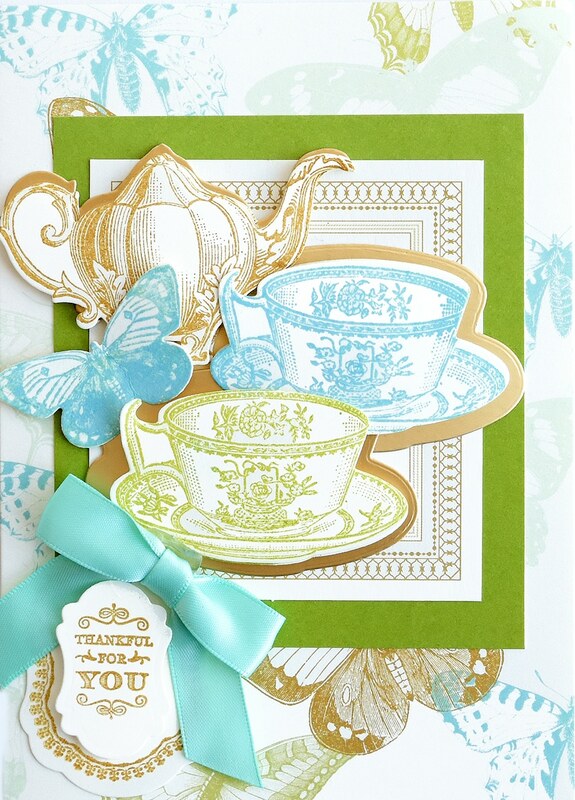 Such a pretty card with the tea cups. Thank you. 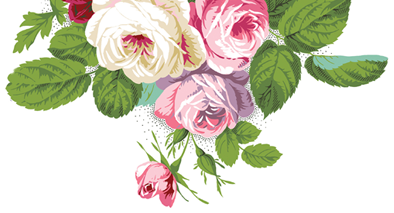 Would love to see the multicolor inking technique for flowers and stems…is it done with sponging? Thanks Anna for your tutorial. I have stamped a lot and enjoyed your method of seasoning a stamp. This set is beautiful. I love the flowers in the set. I have some of them blooming out front today. We are hoping for warmer weather. Thank you Anna for a great demo..learned something new on conditioning the stamps…have lots of stamps I need to do this too. I already have some Treasury stamps with the Binder to store them in. Now this has inspired me to expand my collection of them. I’ll have to wait though. I already have an order of some other Anna Griffin things I just paid for. I would love to win them. I do want more stamp sets, somehow, some way. Thanks for this tutorial. I’m glad I learned Anna’s tip on cleaning the stamps for a clearer & better image to print. Love the tip on conditioning your stamp. I like a crisp image. Very pretty cards! I love tea pots and tea cup Dies and stamps. I may just need this one. Thank you for the wonderful tutorial! Loved your Tutorial today and was wondering, as an idea to have a clean copy included in your Treasury Kits or future Kits, that beautiful printed board of what the contents look like already stamped versus trying to make out what the stamp looks like on the acetate sheet. I love it when you use them on HSN to illustrated all that you get printed on a clean plain board. Thanks for always keeping us motivated to try new things with all your products!! Love the ideas and techniques! I also love tea, so this is “my cup of tea”! Thank you, Anna. Your tutorials are wonderful. I love tea and tea shops! Very pretty cards. This will help me with my treasury, since I have put off trying the stamps. Lessons do help! Thanks! What a great demonstration, covering so many techniques. Thanks for the enlightenment. I have so much trouble with making a good stamp. I will use your ideas and hopefully will have good results. I do love my Treasury and have two sets. I would like this set with that beautiful teapot and tea cup! I love that motif! So far the Hydrangea stamp is my favorite of my Treasury stamps. A whole page of teacups and teapots stamps and dies would be a great addition to the Treasury. A tea bag stamp would be good too. I always add the name of the tea on a card tied to the tea pot lid. I do this by hand…but a pretty stamp would be great—also stamps for types of tea—Black, green , herbal. Those could be used as labels for teas and buffets. I am going to dig the Treasury tea set and make some cards. Wonderfully helpful video. Love what you were able to compose with the stamps. I have the folders, but have been reticent to make a card with them. I wasn’t sure how to proceed composition-wise. Thanks for yet once again, a very informative Tutorial Tuesday! THANK YOU for the Tutorials. You inspire me to try new ideas with my teacup stamps. I love tea cups and teapots but the napkin is that special touch ! I really enjoyed the new tips on the stamps and dies. I love your products and would enjoy this beautiful set. So beautiful, love them all. I would love to have this set. I haven’t work stamps yet, This set will be great. WoW! So beautiful! Thank you for the stamping/embossing tips & design ideas. I love the random teacup design and all of the layers. Adding another AG item to my wish list! Hi Anna, I already have these dies and stamps. I bought the whole set on auto ship. I have made so many cards using all the different dies and stamps. People love them and think they’re all unique and really appreciate them. Thank you for introducing them to us. Hi! What beautiful stamps and I love the coordinating dies! I love buying stamps sets like that!! Thank you for the instructions for conditioning new stamps. Every little trick helps in getting perfect stamped cards. Spent all day crafting and now I want to go back down and create some more. I haven’t missed a one of these Tutorial Tuesdays. I’m a seasoned card maker, but I truly believe we can always learn something new. Today, I learned how to season my new stamps. I also learned that stamping over a pattern can be quite effective. The results you achieved by using that technique are absolutely gorgeous. I can’t wait to try it for myself. As soon as I finish this comment I’m off to my craft room to dig my heels in and have fun! Thank you for everything you do. It is truly appreciated. Hi Anna, LOVE your Tuesday Tutorials. This one was soooo fun and I learned a lot. For example, that I can use TWO different embossed images, w different colors of embossing paper, on one card and it won’t wreck the first embossed color. One trouble I have is the word “concentric.” I’ve heard you use it many times through the years and I just don’t understand what it means. Yes, you’ve explained it on a previous video. I’ve also looked it up in the dictionary. Sorry. I just don’t get it. Am I the only person who doesn’t understand it? Could you substitute another word? Or explain it differently? I’d soooo appreciate it. Concentric means the die has the same shape in an outline form but a slightly larger size. This way you can get a matched border around your die-cut that is even without having to hand cut it. Hope this helps. I love the designs and the instructions for making such beautiful cards. Haven’t used this set yet. Love how you add stamps to the background of the card. Let’s have more of these kind of technique Tuesdays. Hi Anna, Great idea on the stem idea, will try that. love the verses and words that go with all the other content from this fabulous book of collective of stamps/dies. Tutorial tuesday has become a favorite. Anna, again you take my breath away. 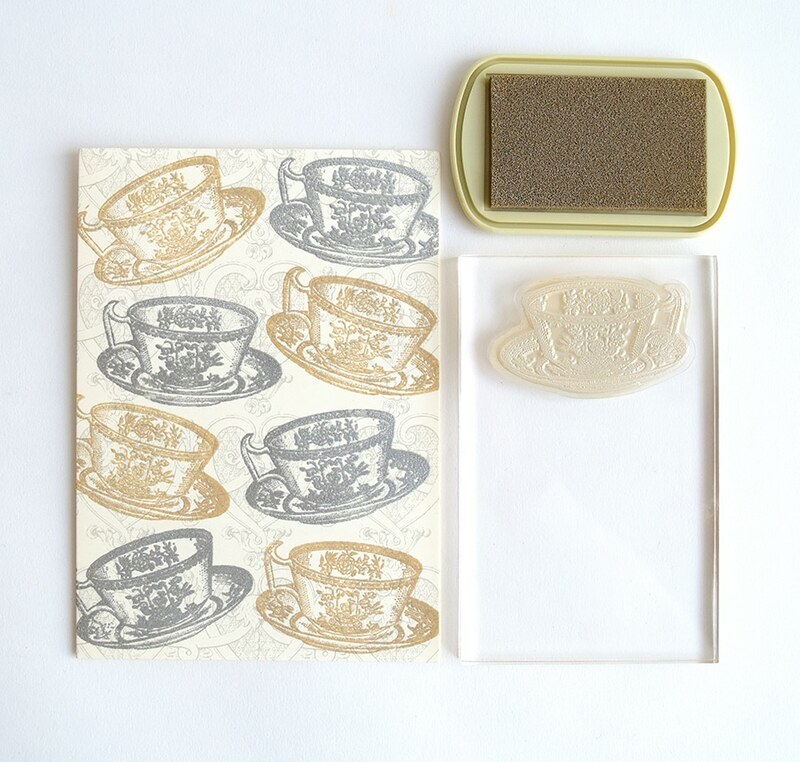 I’m a big tea drinker, so adding these dies and stamps are going to make my cards so much more personal. Can’t wait to get my hands on them. Looks like fun, never got much into stamps! Such fun ideas! Love the teacups! I love tutorial Tuesdays! 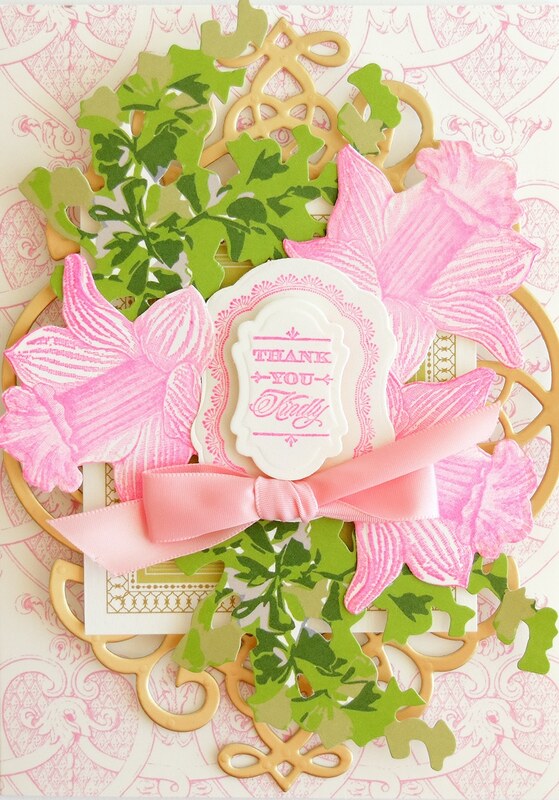 I appreciate the tips and tricks you present to make our cardmaking projects that much better. Truth be told, I learn something new with each tutorial and get excited to try them out! Thanks for taking the time to share your expertise, enthusiasm and love of crafting with us…… it is an awesome thing! Thank you for showing us the different techniques we can apply to our cards! Always so creative. Looking forward to the new products next week. Stamps with matching dies are my downfall- I love them. These are especially nice. Such beeautiful cards, Anna! I have used the teacup and linen stamps before and really liked the look of those! The card you made in the tutorial is absolutely beautiful! Thank you for all the tips and instruction. I was not aware of the eraser tip on the new stamps! Looking forward to the shows on HSN next week! Love your tutorials Anna. Wish you did one everyday! Ha! Keep up the fabulous work, I enjoy watching all the videos and try to make things like yours and come up with a few of my own in the process! Anna, Thanks so much for the template demo, now I have more ideas on how to use my Get Well\Gratitude treasury stamps and die set. Please continue with your demos, we love them so much. Thanks again and Happy stamping. love to see the samples, ie. overlapping of the outline stamps. Will use this soon. Wonderful tips! I can’t wait to use them! Thanks for sharing this tutorial. I love it. I will be making all of these cards. I love Tutorial Tuesday and this video that you provided to us! ahead! 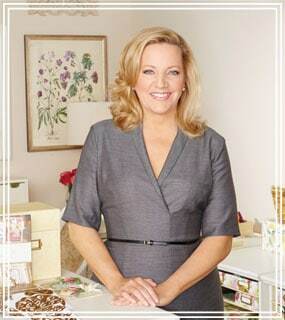 Looking forward to watching on HSN 3/27 & 3/28! re ink the stamp pad? Thanks again for your wonderful tutorials, they make me pull out items that have been shelved for a bit….and use them!! In this case I did know to condition my stamps to remove manufacturing oils, etc., but it was still amazing to see the difference in the impression with and without conditioning! I would like to also add that I find an embossing powder pad/antistatic pad is useful for keeping stray powder at bay and if I do see some (especially on darker cardstock) I also keep a soft paint brush in my kit to brush away any stray powder before heating. Hi Anna…I’m new to you blog, but not to your products!!! 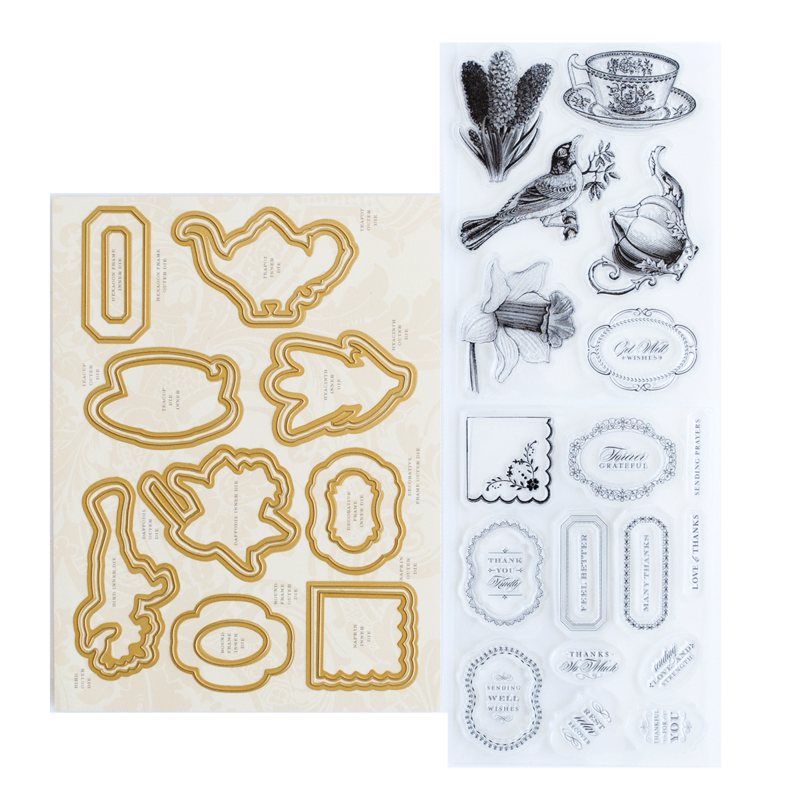 I sent an email last week begging to have your everyday sentiment stamps and die set (the Christmas set too), back in stock and this getwell set I just purchased is good too!!! Please bring back the everyday and Christmas sentiment and die set back. It is what I need to give that finishing touch to my cards and projects!!! Thanks!!! Anna, I never thought of stenciling on patterned paper. What an awesome idea! And even better is that I have those stamps and dies, plus I have that paper kit you used! Thank you so much for those ideas! Thank you Anna for showing us this tutorial. I enjoy watching others craft, it gives me new ideas on how others do their tricks. Thank you for sharing another great stamping idea with us. The cards are beautiful! I love the Treasury! I started heat embossing years ago and you have renewed my interest, I will have to try stamping a pattern, I’ve never done that. Thank you for another wonderful and helpful tutorial! Thank you for sharing your secrets with us. Always grateful for learning trade techniques that make my projects look almost as good as yours. products are just lovely. I’m a Sr. Citizen and love making cards. Had no idea I had to condition my stamps before using them. Now, I’m in the know! Thanks for the tips and inspiration, Anna!!! What a great tutorial, Anna. The stamps & dies are just lovely. Thanks for sharing! Thank you, Anna! Your tutorials give me confidence! I appreciate your efforts to teach us all new tricks! I have to have this set. Oh, my. What is better than teapots, cups, and birds? Finally! Daffodils are my favorite flower, and they are so difficult to find in the craft world – almost no papers or stamps incorporate them! Great tutorial, Anna! Learned something new today…erase your new stamps! Will have to give that a try. I don’t have this particular ‘tea set’, however, I do have your newest tea pot and cups set for my treasury that I’ll practice with. Thank you, Anna, for all the beauty you give us. I am enjoying Tutorial Tuesday immensely. God bless you. Now I think I can make a card using your tutorial! Thanks so much, Anna! Have the treasury,so set to go! Thank you for the great tutorial, all these wonderful tips and tricks are wonderful!!! Super good tutorial, Anna! Pretty results with a shared “secret” to condition new stamps. What pretty tea time stamps and sentiments too. Thank you Anna, I learned a lot today! Really enjoy these “Tuesday Tutorials”. You always have great tips for us that really make things easier! Another wonderful & informative email Anna!! I’ve collected your stamps thru the years but I’ve not been happy with my rather primitive results. Thank you so much for your “Tutorial Tuesdays” — I’m learning so much as well as being inspired by your beautiful creations. I save your emails & will look at them again when I need some inspiration; also I tape your HSN appearances for inspiration also. Hopefully I have NOT missed Create 5 registration — I’ve been “down & out” for weeks with the flu. Create 5 will be my “happy birthday to me” for my 80th birthday. Great tutorial Anna. I recently purchased the Well Wishes stamps and dies and love, love, love them. I have several of your other sets and plan to add to them for as long as you sell the stamps, dies and binders. WOW, so many ideas, I wish I could come up with so many. I usually have my mind set at one card and try to make it and it almost like an epic fail. Thank you so much for your tutorials they inspire me to think more outside the box . Hi Anna. My stamping leaves much to be desired. I’m going to condition my stamps as you explained and hopefully succeed. Thanks for this tutorial. I’ve never stamped before, so this tutorial was very informative. I have so much to learn! I love the daffodil. And thank you for showing us the difference between conditioned and not. WONDERFUL TIPS AND I LOVE LOVE LOVE YOUR TEA THEMED TOOLS! I love Tuesdays because I always learn so much from your tutorials and visit! I had no idea about the eraser use on stamps and oh! that makes a real difference! Always grateful for your inspiration, thank you! Oh Anna, a napkin, who but you would have thought and it’s just adorable!! That is beautiful in the making. Thanks for the tutorial and tips. Thanks for the demonstration! I was missing theseTreasury stamps in my binder! I will be purchasing these today, and I will finally have the full Treasury stamps and die set. I just adore that little napkin. Thanks for 30% special! Great Idea using a patterned paper for base, and then stamp and emboss on top. If you really weren’t to crazy about the patterned paper to start with, this is one way to really make it useable and not discard it. Thank you for all your ideas and products. Just learnt so much today…thank you. I Love the Tutorial Tuesday’s !!!!!! Thank You, Anna !!!!! 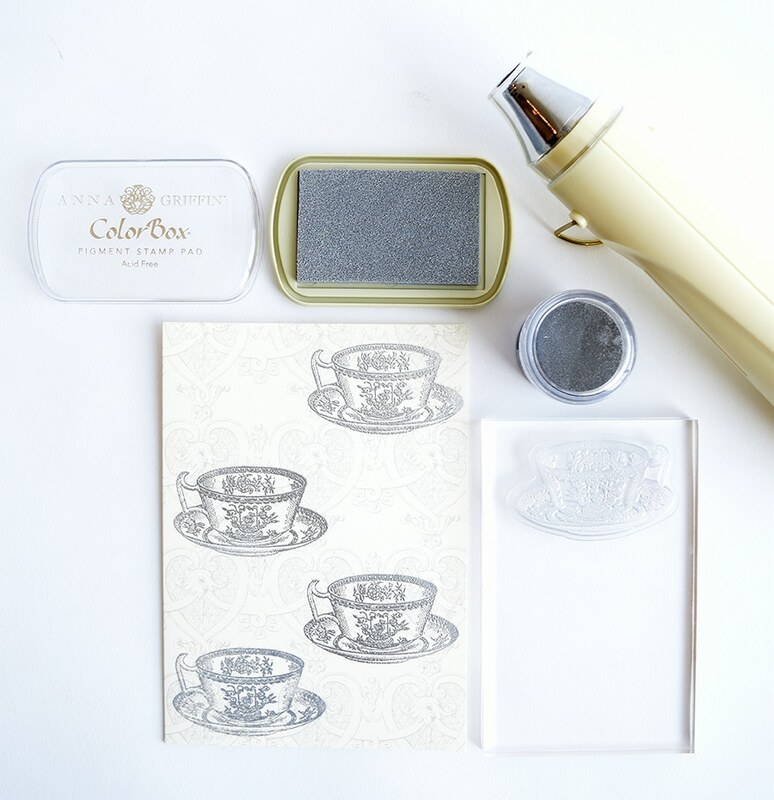 !’ The Teacup stamp and die set is on My wishlist. Love these tutorials. I had never heard of conditioning stamps before using them! I can’t wait to try this out on my stamps! Thank you! 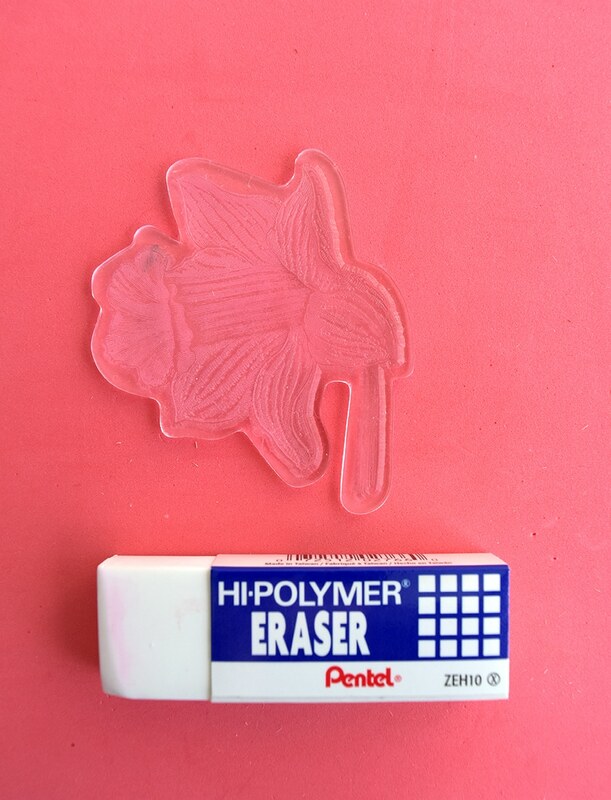 Anna this tip about using the eraser on polymer stamps is just one of the reason why I enjoy your tutorials. Many thanks. Absolutely Inspiring! I Love the Little Teapot! I get Sooo Very Many Great Ideas Watching Your Tutorial Tuesdays! Thank-You for this awesome tutorial. I have been making cards less then a year now. One of my first purchases was the Anna Cuttlebug and The Treasury of stamps (auto ship included) and the embossing gun. I just now understand how I can use my completed stamp collection to use with my cards. Thank you so much! Beautiful and thank you for the How to! Love your stuff! Beautiful, Beautiful, Beautiful!!! The stamped back rounds are stunning! Thanks for the inspiration! Great information, so helpful!! Thank you!! Anna, thank you for this previous demonstration and how to condition these clear stamps. Can’t wait to get going on this. Thank you for another lovely tutorial to increase our ideas and creativity. You make us all look good and talented. Lovely cards! And good tips! Thanks again!